Great Dane | Jerrie Hurd Takes Family History Seriously . . .
Family History: What’s Your First Memory? Most people remember events tied to a strong emotion, smell, or some other sensual detail. That’s especially true of first memories. Mine is a box of kittens my father brought home. I was two and a half, maybe three-years-old. 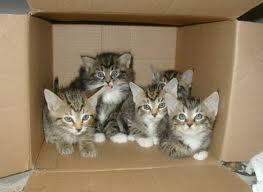 I don’t remember why he had a box of kittens, where they came from, or whether we kept them. What I remember are the sensations–the fur, the claws, the smells, the sounds, and how they squirmed when I reached in to touch them. I remember laughing. My whole life I thought I was a cat person. Dogs annoyed me. A cat purred and snuggled. Dogs jumped up on you with dirty paws and needed to be taken outside regularly. Unfortunately, I married a dog person. He grew up with dogs, loved dogs, always wanted one. I delayed and delayed, but that only works so long. 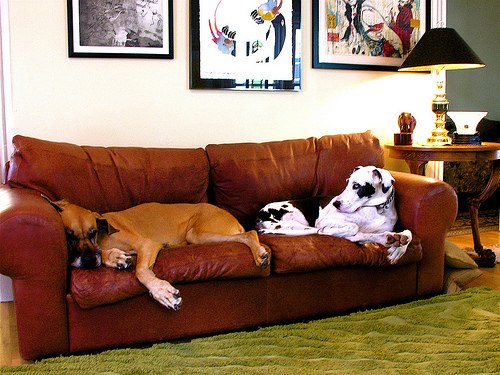 Eventually he got his dog, which quickly turned into two dogs, both Great Danes. When people ask how that happened, I tell them I made him wait too long–the dogs grew larger and multiplied. You know, like unattended problems. Turns out I’m a dog person. The bed is never empty. The house is never lonely. Bring on the slobber and the face-licks. Question is: Would I have been a dog person earlier if my first memory was a puppy? That’s not an idle thought. We shape our sense of self from the stories we tell about the things we remember. Want more examples of first memories. Check out www.yourfirstmemory.com, a blog featuring videos of people telling their first memories. Interesting project. Filed under children's stories, Family history, Family Stories, Memories, Why Stories? Larger than life is a term applied to heroes. They leave an impression. Stella, our three-legged Great Dane, does that. 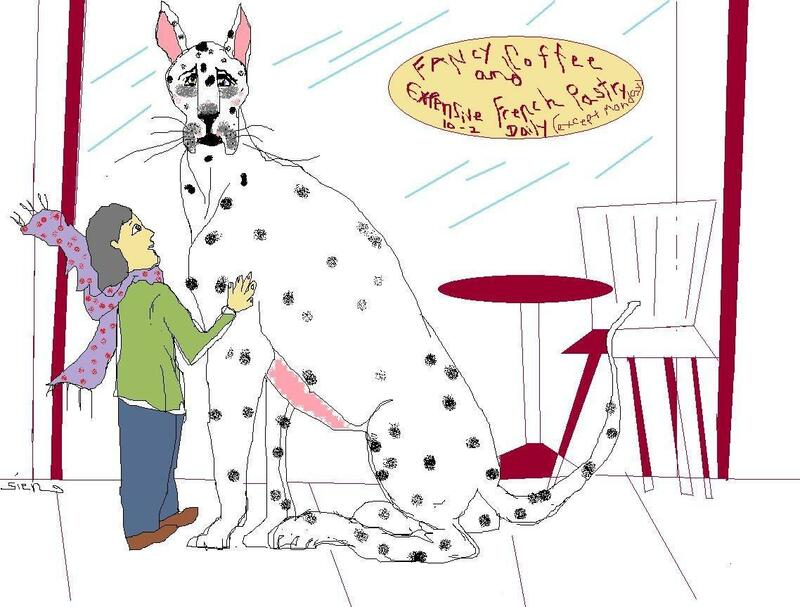 She can go out for coffee and come home immortalized as a cartoon by Boulder’s Shoney Sien. Stella’s big, but gentle. She has a brown eye and a blue eye–not common in Great Danes. She likes to be petted but still manages to give the impression that she’s aloof, not needy. Treats?–her highness needs a tester. The owner of a highbrow dog boutique offered Stella the house specialty–a liver brownie. She took it politely; then set it on the floor. It was only after another dog tried it that she decide to give the goodie another chance. Every culture has made-up stories of clever animals. It is said that we project human characteristics onto the animals when we tell those stories. I’m more inclined to think animals draw out our better qualities. Four years ago we rescued a three-legged Great Dane named Stella. Or she rescued my husband and me. Here’s the good part. Stella, a happy, tail-wagger 24/7, has become a certified therapy dog. She visits hospitals, libraries and homes for the elderly. A favorite place is the local mental hospital (juvenile section). Stella’s big. Even with three legs, she can look formidable. At first the kids hang back. That last is the real question. People will stop us on the street to ask that one. It’s obvious Stella is a dog with a story. The kids at the mental hospital do more. They own her story. Those who remember her from a previous visit rush to tell the newbies all about her. They like the parts about how she was hurt, abused, abandoned, placed in foster care, then rescued. They also ask questions. Hard questions. Ask that question and, all of a sudden, the story is no longer about a rescue dog. It’s about you.